1792 Ridgemont Reserve Bourbon has long been a well-respected but widely overlooked part of the Buffalo Trace stable, which is understandable since it’s made at its own facility, Barton 1792, quite a ways away from the thriving Buffalo Trace headquarters. But BT is breathing some new life into 1792 with this, the first of what is planned to be a series of new, limited edition expressions of 1792. 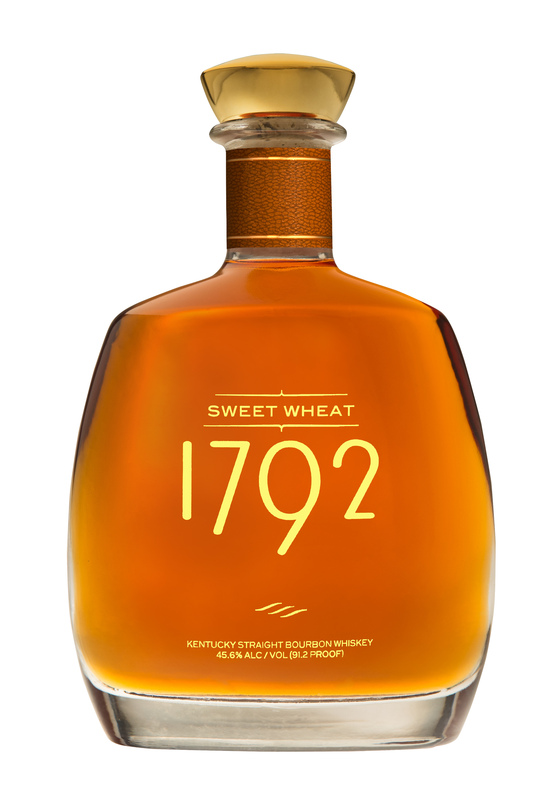 1792 Sweet Wheat is a wheated bourbon, aged eight years at the Bardstown facility. (The standard 1792 uses rye.) Fret not about flavorings or added sugar. There’s nothing overly “sweet” about the whiskey beyond the house style of the whiskey itself; the sugars are derived from standard barrel aging the same way they are in any other straight whiskey. 1792 Sweet Wheat starts off not with sugar but with lumberyard notes; the nose is surprisingly forward with wood, tempered with tropical notes and a touch of peach. On the palate, it’s not especially sweet either, offering notes of tinned fruit, coconut, cinnamon, ample vanilla, and some gingerbread notes coming up the rear. There’s ample wood structure here, giving the whiskey some tannin — and tempering the sugars — which is actually a bit of a disappointment considering the name of the spirit. Give it a little air and things open up in time — the chewy cinnamon bun of a finish is worth waiting for — but otherwise there’s not that much to get too excited about. Just opened this as a recent purchase. Maybe because I’m such a big fan of wheaters, I am really liking this. Smooth, sweet and just the right proof IMO coming from someone who likes the100 mark.